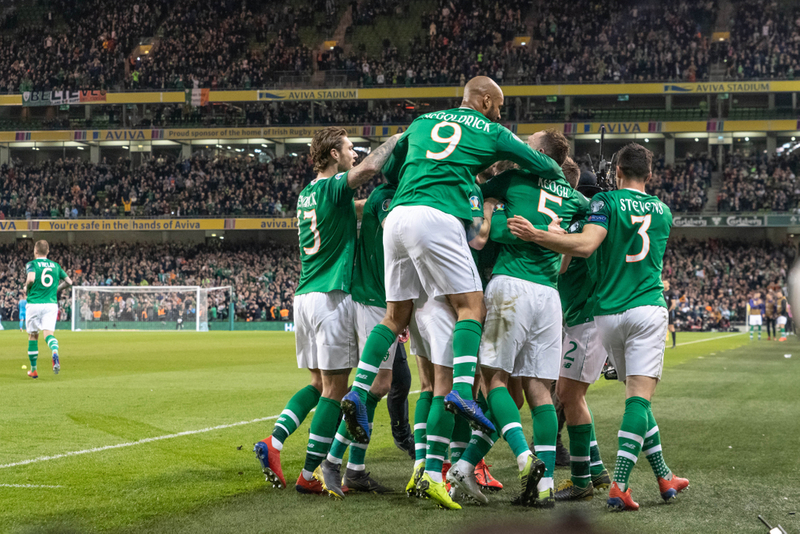 In a game which saw Conor Hourihane score his first ever international goal at senior level for the Republic of Ireland as the hosts ran out 1-0 winners, the main topic of conversation after the match was regarding the unusual manner of protest which the Ireland fans undertook - throwing tennis balls onto the pitch. 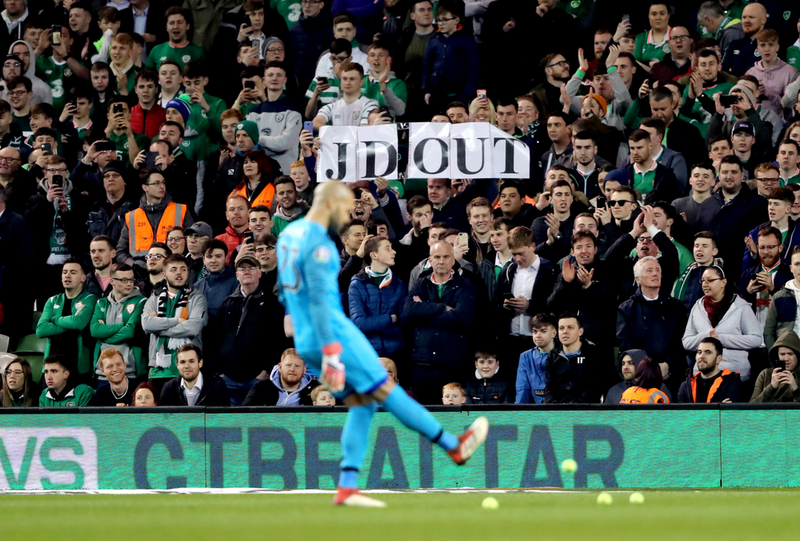 The balls were hurled onto the pitch in protest of John Delaney’s new role with the FAI, as the 51-year-old stepped down from the position of CEO of the association to become Executive Vice-President of the FAI - new role created just after he resigned from his previous post. Fans have been unhappy with Delaney for many years, due to awarding himself massive bonuses on top of his £421,900 annual salary, while cutting wages for FAI employees by up to 15% and having the organisation pay his rent of £3,515 each month. Delaney also has a court appearance in April where he will be asked to explain a personal loan of over £100,000 which was provided to the FAI two years ago in order to help the association with a “short-term cash flow issue”. This loan was not present in the FAI’s audited accounts. 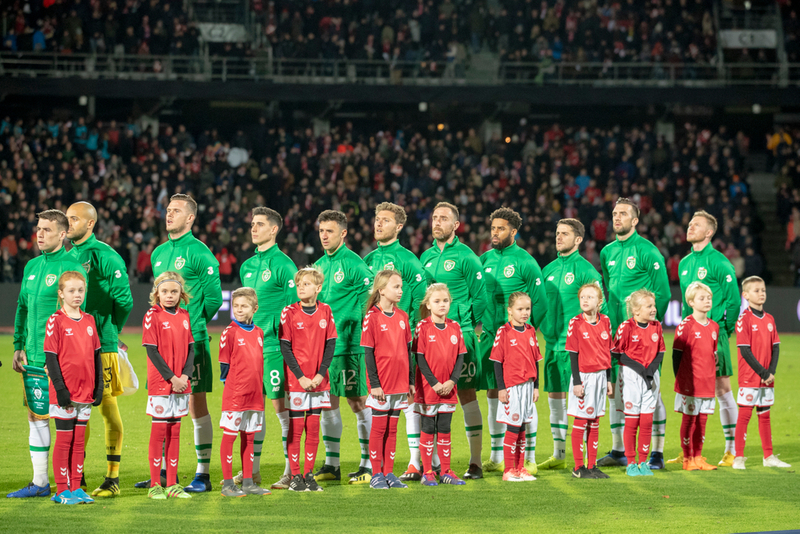 When the 33rd minute of the game at the Aviva Stadium versus Georgia, play was held up for three minutes while Hourihane waited to take a free kick just outside the Georgian box. Eventually, stewards cleared what looked to be around fifty tennis balls from the playing area and the Aston Villa man proceeded to slot the ball into the back of the opposition net. Former footballer Damien Duff angered viewers with his opinion on the matter, as he explained that the protest was “ridiculous” on Irish television, adding: “I think where Georgia nearly scored is three minutes in, there were four minutes added on and that was because of the tennis balls. Ireland boss Mick McCarthy had his say after the game, saying he was “concerned that it would affect our concentration”. McCarthy went on to say: “I didn’t want to take a free kick and then Georgia break on us. But I don’t think it affected the game at all. This likely won’t be the last we hear of John Delaney and Irish supporters protesting against him, as this looks like a battle that will go on until he has left the FAI altogether. Whatever happens, as long as it doesn’t make a negative impact on what happens on the pitch, the majority of people will agree that supporters should be able to make their voices heard.